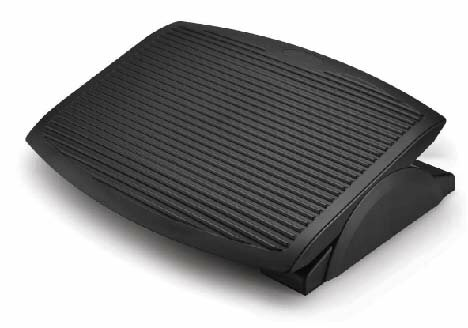 Reduce muscle strain and fatigue for your office personnel with an ergonomic footrest. Made of sturdy, high impact plastic construction, these two adjustable footrests provide ergonomic support and positioning. They help reduce pressure on the low back and thigh muscles that can be the result of prolonged inactive sitting at your desks. Constructed of high-impact plastic construction. Adjustable knobs for setting different angles and heights. Rubber padded feet keep footrest in place. Foot platform measures 17.72" x 13.78".